Prosecution worthy video has to be clear enough to provide facial detail of the perpetrator. 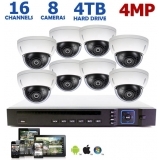 CCTV Camera World is a leader in the video security industry specializing in HD NVR security camera systems that provide prosecution worthy security footage. Our systems range from 1080P resolution to 4K Ultra HD. You can expect real-time 25fps (frames per second) smooth moving video without missing any action at up to 4mp with the latest H.265 IP cameras and NVR. Our security NVR systems use Power-over-Ethernet technology to simplify system setup. 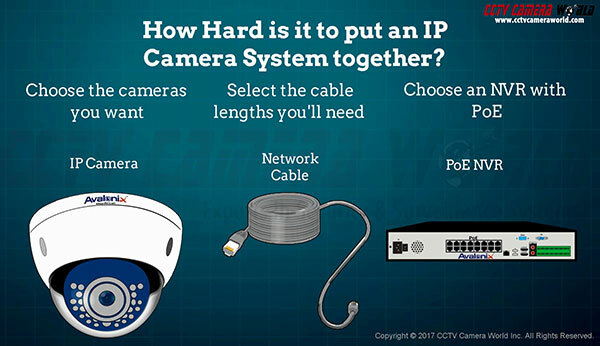 Our HD IP cameras use a single network cable for video, audio, power and PTZ control. For wire runs greater than 300ft, our IP NVR systems can be used with a PoE switch to extend the distance of the IP cameras from the NVR. Our NVRs enable remote viewing from a smartphone, tablet, or PC over the Internet or a local network. 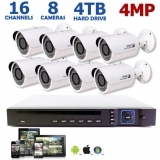 Each system below includes a security grade hard drive and can be set for scheduled or motion activated recording. Browse PoE Systems with plug & play setup.